Arielle has a best friend called Chloe and a sister who is more of a rival than a confidante. Just before her sister’s departure for Harvard, Arielle starts getting haunted by what she thinks may be her sister’s dead friend Perdita trying to reach her. The girl dies under mysterious circumstances even though the police initially believe the girl committed suicide. 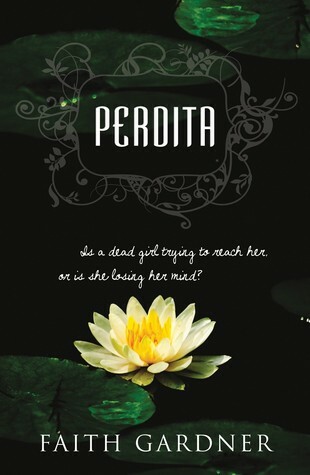 Arielle continues to encounter what she believes to be Perdita’s ghost throughout the story while she falls in love with Perdita’s younger brother and starts to find clues to why and how Perdita died. Her vivid imagination is cleverly intertwined with facts and evidence that come to light about the police investigations. The conclusion is surprising and unexpected and adds an interesting twist to the overall plot. The novel therefore covers a variety of themes, from the supernatural, teenage infatuation, sibling rivalry, deceit and the downside of a society that values meritocracy and competitive behaviour.